In Nepal they greet using the words Namaste, meaning “I bow to the divine in you”. For many years the great valley of Kathmandu and the surrounding Himalayan mountain ranges have been a sacred land of deep spirituality. Year after year travellers come to Nepal for meditation, yoga, astrology, retreats and to be with the divine energy of the mighty Himalayas. I’m writing this guide for those on this exact spiritual path so that you can continue to find solace and refuge in the journey within. Mandala Yoga Studio is a combined yoga studio and spa in the heart of Thamel. Located on the second floor in Mandala Street, the space offers a clean, fully equipped, spacious yoga hall and an attached spa room for massages and treatments. Divine Yoga is located on the second floor opposite Hole In The Wall. The studio offers a range of weekly yoga and meditation classes with a focus on Pranayama meditation. Charak Yoga offers a variety of yoga classes, including Hatha and Vinyasa twice a day in the heart of Thamel. The studio is spacious and can accommodate larger classes. It is also one of the best-priced studios in Thamel. Sawar Yoga offers a comprehensive range of daily classes including Hatha yoga, Vinyasa yoga and Pranayama meditation. The centre also offers Astrology readings for those interested in learning more about the study of the motions and relative positions of the planets, sun, and moon, interpreted in terms of human characteristics and activities. Vinyasa Nepal Yoga Studio offers a range of classes including beginners yoga, Hatha yoga, Vinyasa yoga, Ashtanga yoga and Yin yoga. They have 4 classes per day and run a yoga for kids class on Saturdays. Pranayama has 2 studios, one on Patan and one in Thamel. 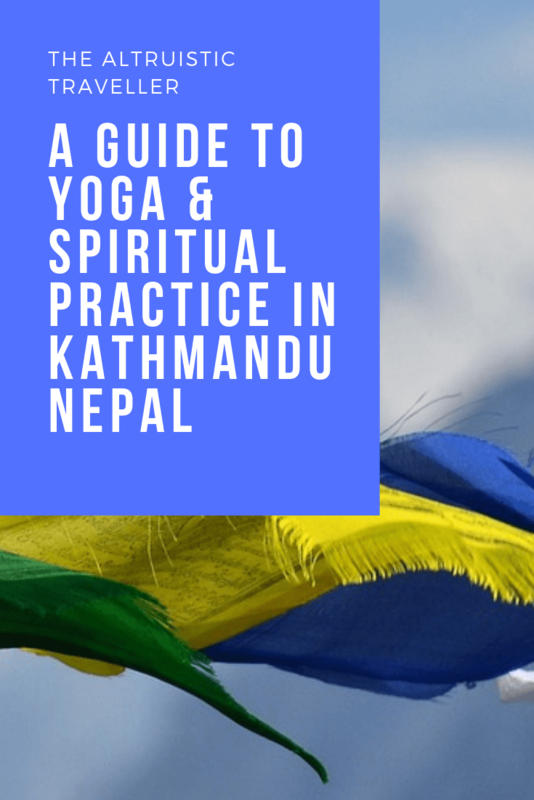 The studios are co-owned by a small group of conscious Nepali investors whose wish was to establish and support a space for the practice of yoga. Daily classes are made up of both yoga and meditation sessions, covering almost all the varieties of practice. Sambodhi Yoga is located in the southern part of Thamel. This cosy studio is run by a husband and wife who offer 4 yoga classes per day. It maintains a very friendly atmosphere and participants are offered a cup of hot Nepali tea at the end of each class. Located at the foot of the Nagarjun Forest Reserve and only a stones-throw away from Thamel, this yoga centre is the perfect retreat from the city. The Nepal Yoga Home is a leading training institute popular for those wanting to do yoga teacher training. However, the centre also offers a number of yoga retreats from 2 nights to 1 month. So, if you’re feeling that Kathmandu is becoming a little too chaotic for your liking, I can recommend Nepal Yoga Home as a quiet retreat. The Art of Living is a non-profit organization founded in 1981 by the world-renowned philanthropist and spiritual leader Sri Sri Ravi Shankar. The Art of Living centre offers effective educational and self-development programs, which include breathing techniques, meditation, yoga, and practical wisdom for daily living. 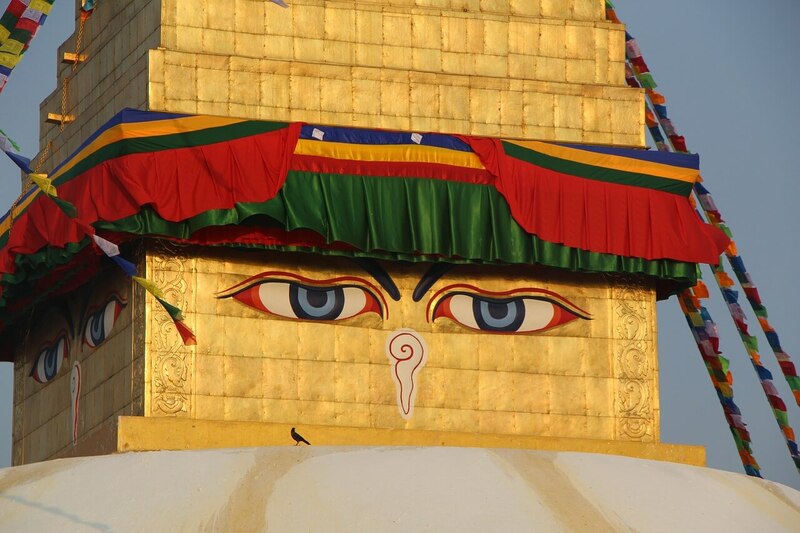 Kopan Monastery is located nearby the world famous Boudhanath stupa. It is a Tibetan Buddhist monastery home to 360 monks, lamas, teachers and workers. The centre offers a range of courses on Buddhism and meditation as well as daily Dharma talks from Monday through to Friday at 10:30AM. The Himalayan Buddhist Meditation Centre is located only a 15-minute walk from Thamel. Their teachings and practices are based on the Buddhist tradition of Lama Tsong Khapa of Tibet. Programs include Dharma talks with qualified teachers, meditation, pujas, pilgrimages and tours. Om Singing Bowls and Healing Hub offers singing bowl training and sound therapy. Sound healing treatments can aid in the healing of emotional imbalances, mental illnesses and stress relief. Established in March 1997, The Kathmandu Center of Healing is the longest standing registered healing centre in Kathmandu. The centre focuses on the teaching and practice of Tibetan Singing Bowl Therapy along with other practices including Reiki, yoga and meditation. The Mandala Yoga Studio in Thamel also offers sound healing therapy. The sessions run for 60 minutes.